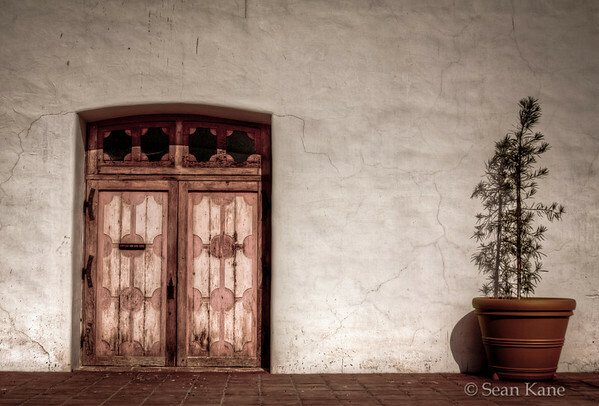 Here’s another image from my trip to Mission San Miguel. This is a south-facing tower of bells that has obviously been weathered over the years. The sun was high and bright and I wanted to bring it all in with the lens flare to give an old feel to the image. I worked it a bit to give it the bleached, cheap-camera feel. 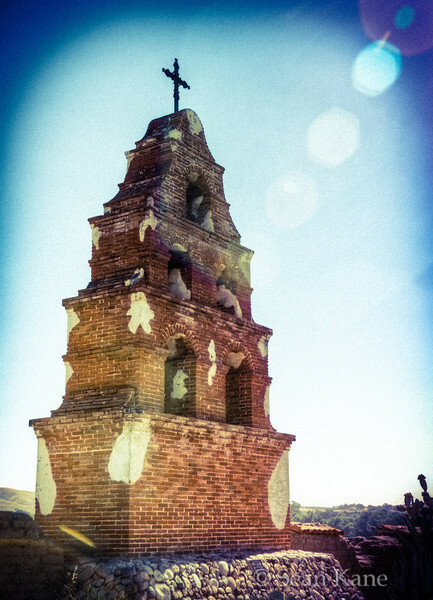 The Historical Landmark Commission of San Jose is holding the first “Historical San Jose” photography contest to celebrate Historic Preservation month in May. I’ve been taking photos of various buildings in the downtown area which I will be posting soon. I am not sure if these will be judged from an artistic or documentary perspective so I’ll try several varieties and submit the three shots I like most. 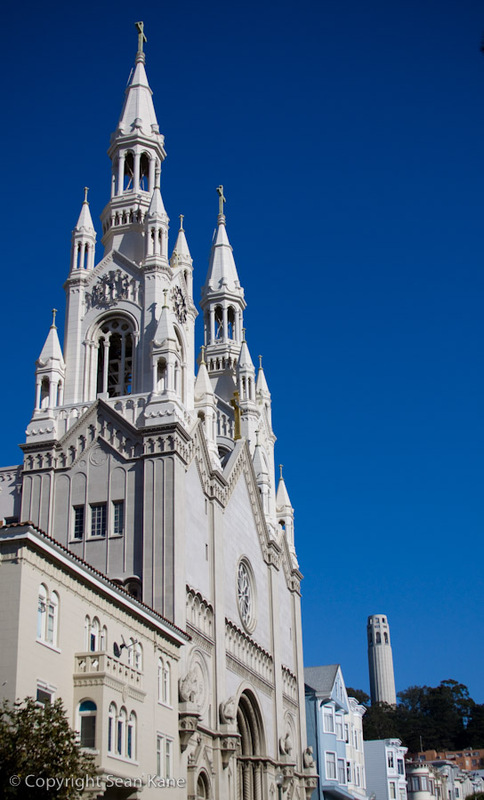 This shot is of the Fist Church of Christ, Scientist which was built around 1904 or 1905 (depending on where you look). It is in poor shape and fenced off. It has a great dome at the top that looked wonderful in the evening light. 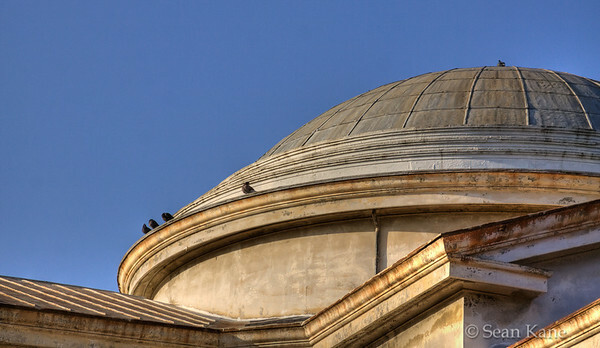 This particular shot is a hand-held HDR shot to bring out the weathered detail.